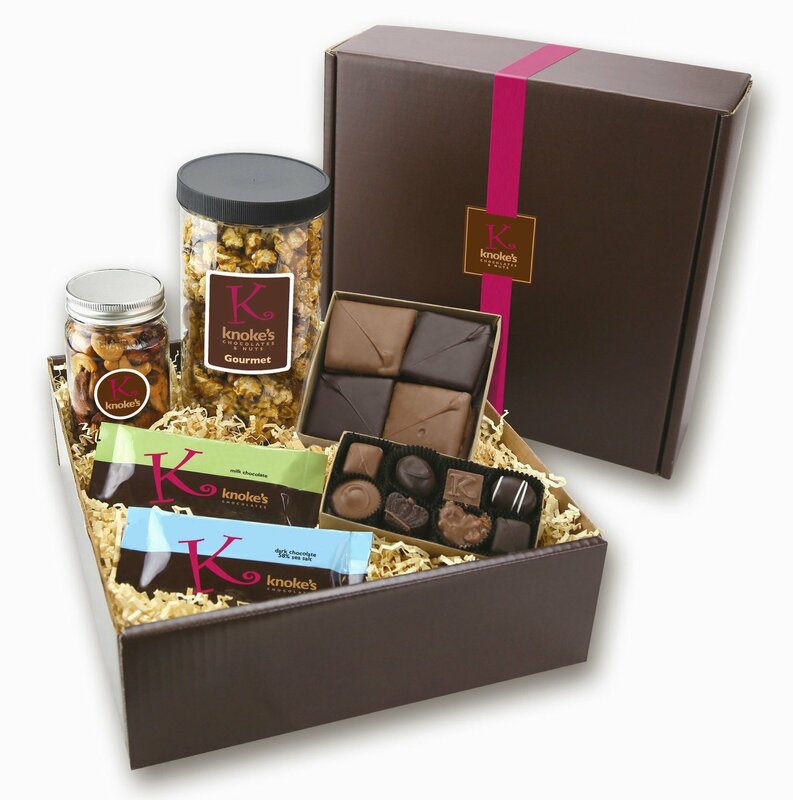 Our $45.00 gift box includes a gourmet popcorn, fresh roasted pint har of Fancy Deluxe Mixed Nuts, an 8oz. box of assorted English Toffee, 8 pc assorted chocolate box, and our Knoke's Milk Chocolate Bar and 58% Seas Salt Chocolate Bar. All the favorites!